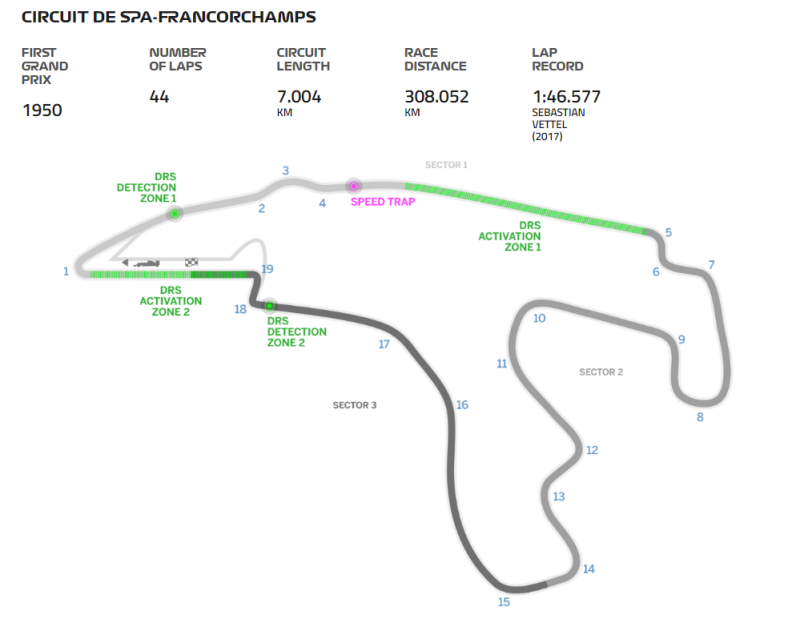 Formula 1 returns after its mid-season break this weekend with one of the most famed Grand Prix’s of them all – the Belgium Grand Prix at Spa. One of the favourite circuits on the calendar, drivers and fans alike love the Malmedy-based track. The battle for the Drivers and Constructors Championship continues to be a fascinating one, with defending champion Lewis Hamilton seeing his lead stretched to 24 points after he finished ahead of rival Sebastian Vettel in Hungary. 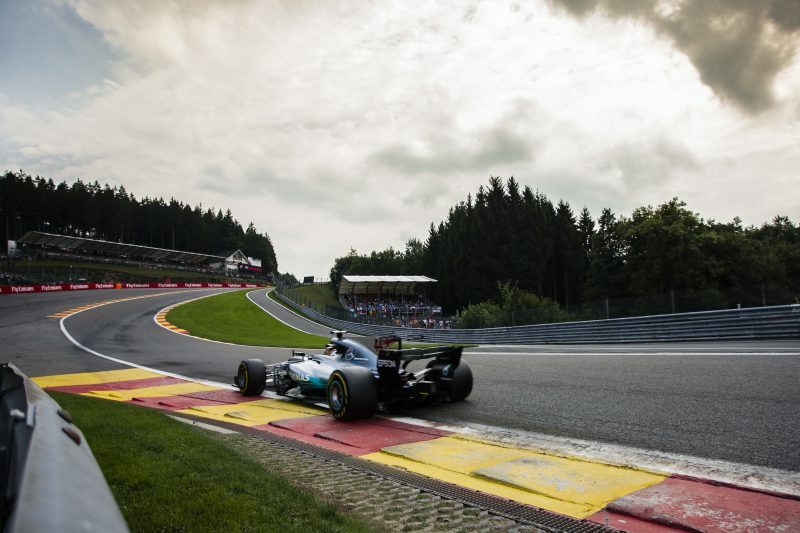 Hamilton and Vettel – both multiple winners around Spa in the past – are embracing the pressure on them both. Vettel is confident he can close the gap on Hamilton, beginning in Belgium. “We know that we are a little bit behind but I don’t think it’s anything we can’t make up. This weekend is the first time Daniel Ricciardo is racing for Red Bull since confirming his shock decision to switch to Renault next year. “I guess I got to a point where I felt I was ready for a change,” he said. “I was ready for a new challenge and for me personally some fresh motivation. Honda still need to really prove themselves at the front, but there wasn’t one key factor other than really myself and wanting to have a change of scenery. His team-mate Max Verstappen – one of main reasons behind Ricciardo’s move due to the Dutchman being ranked as number one at Red Bull – was unsure of the timing. “Of course everybody has moments in their career where you’re frustrated or you’re not happy with the current situation,” he said. F1 returns from its summer break with a trip to Belgium in store for the teams. 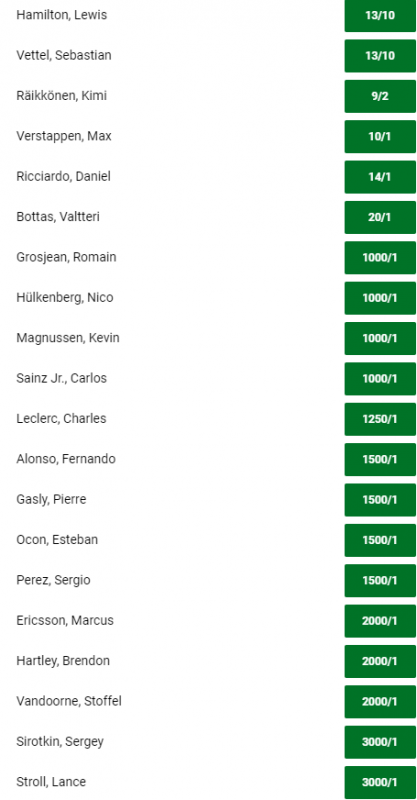 Unsurprisingly Lewis Hamilton leads the pack as far as race odds are concerned, although this time round he has Sebastian Vettel for company, both drivers priced at 13/10 for the win and 11/50 to make the podium. Hamilton is the punters pick and is seeing the early money. He will be hoping to extend his lead at the top pf the Drivers Championship, in which he is a runaway odds on favourite priced at 2/5. 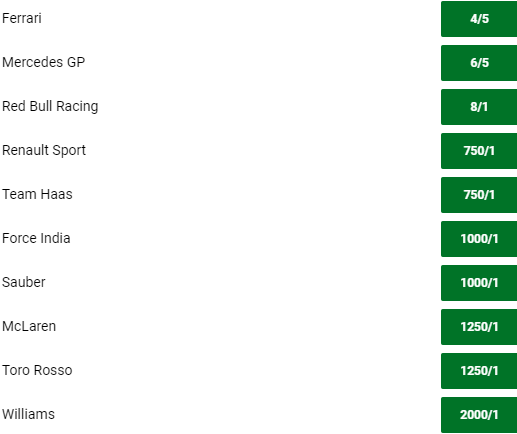 Although he looks to be in fine form and it will take quite an effort in the second half of the season to catch him, with the lead at only 24 points Vettel is hardly out of it and could represent some value at 7/4. Although it has to be said it’s a value play more than anything and the Silver Arrows man is firmly in the drivers seat.